Saad Transport is a fleet provider of choice for school, hotels, visiting dignitaries and blue-chip corporates in Mumbai, Navi Mumbai and Thane region. 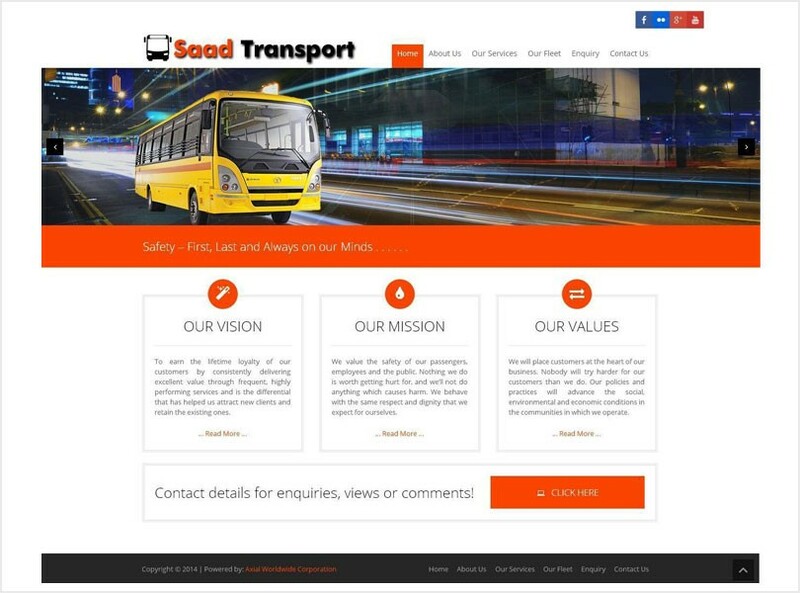 Saad Transport is a complete road transport solution – delivering the results of experience, logistical planning, coordination and a customer centric orientation. So, whether you are planning a Wedding Function, Corporate Transportation requirement for events and conferences or any occasion which requires ‘Personalized Road Transport Service’ – we offer you the best vehicles and courteous professional drivers at the best possible rates -’Delivering value for every penny you spend’. Saad Transport is a fleet provider of choice for school, hotels, visiting dignitaries and blue-chip corporates in Mumbai, Navi Mumbai and Thane region.